Suitable for recycled plastic planks, aluminum benches, and picnic tables. ideal for benches or picnic tables. Available for our best-selling Hyde Park vertical steel strap bench – classic & elegant. Many cities and park districts allow community members to purchase benches that bear the name of loved ones they want to honor or memorialize. It’s an excellent way to foster goodwill and pride in the community, while easing the financial burden of furnishing public spaces. Placing personalized site furnishings on school and corporate campuses emphasizes pride and encourages the public to take advantage of public spaces. When an employee or volunteer retires after years of dedicated service, a perfect way to recognize their commitment is to commemorate it with a personalized bench in a visible location. A rise of theft of aluminum products in several areas across the country, engraving the planks for these items may cause those who would steal them for scrapping to think twice. Likewise, engraving the city or organization’s name on furnishings may emphasize ownership and reduce instances of vandalism to items in public spaces. We highlight three of our best selling benches in our sample brochure, two of recycled plastic and one of vertical steel strap. 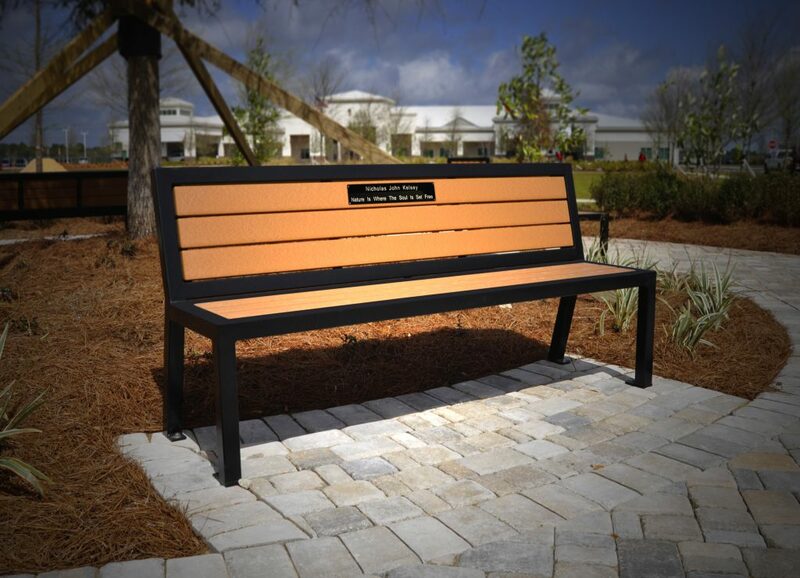 Select your bench (or benches) based upon pricing, appearance, and where they will be located in your community. 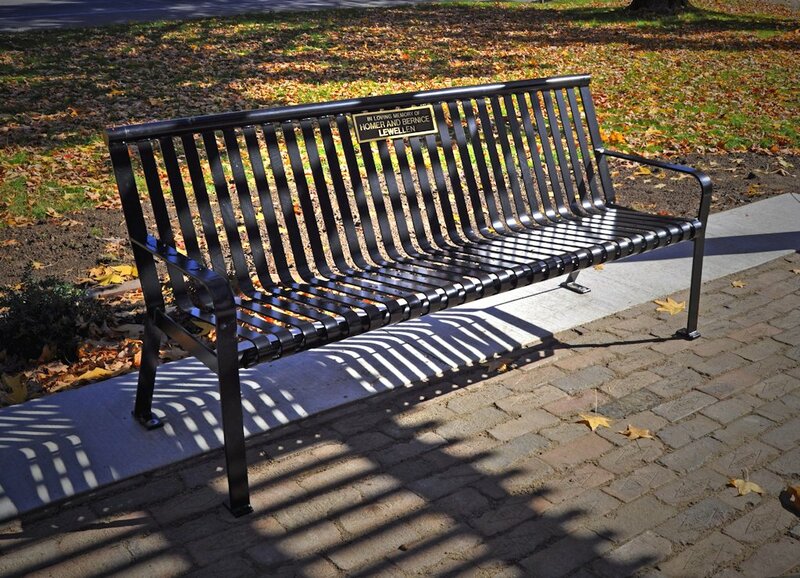 Select a park, a public walkway, or scenic overlook and identify several spots upon which benches can be placed. Decide if you will allow your donors to select the final location of their bench or if it will be placed by the oversight committee or others. After reviewing the retail pricing for our benches, determine what additional costs you may incur with the program (ie. installation, maintenance, advertising) before setting the total that donors will need to contribute. Consult your accountant to determine what percentage of your donors’ contributions will be considered tax deductible, if necessary. Download a sample brochure for your reference. Click on any photo of our benches (below) or engraving samples (above) to download for use in your own brochures and promotional materials. 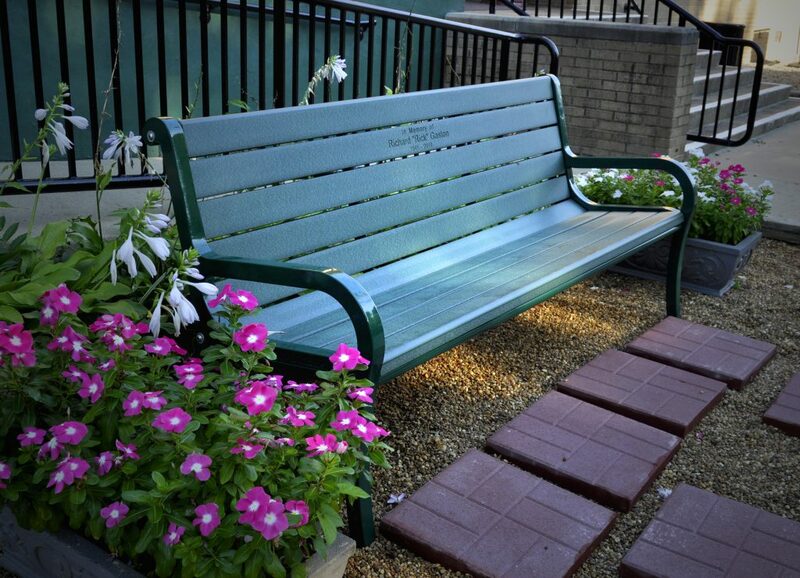 Remember, these benches are just suggestions… personalization is available for all our benches!